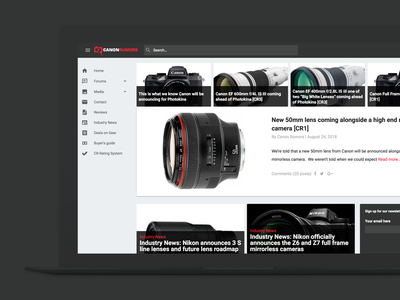 CanonRumors is the #1 resource for all things Canon Imaging offering not only an active community of professional and hobbyist photographers, but also a robust library of relevant articles and reviews. Previously using Simple Machines 2.0, CanonRumors was ready to make the leap to XenForo 2 with a cleaner interface and better integration with their WordPress side. The client approached our team to refresh their brand, customize their theme with our UI.X Pro package and configure XPress. With XPress, CanonRumors can now seamlessly blend their WordPress and XenForo sides into one cohesively designed website.